When flying you probably do all you can to avoid checking a suitcase full of your belongings. So why allow baggage handlers to toss an expensive stroller around? 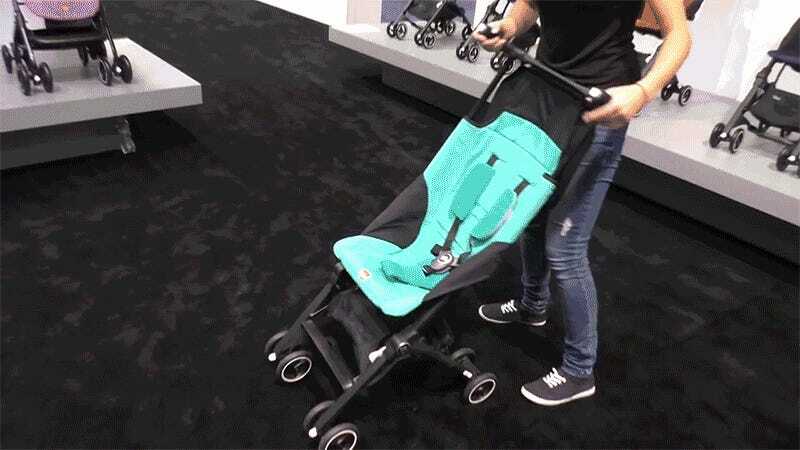 The gb Pockit, confirmed by Guinness to be the world’s most compact stroller when folded, can actually fit under an airplane seat, or be squeezed into a purse. Despite weighing just shy of 10 pounds, and shrinking to a mere 12-inches wide and 14-inches tall when collapsed, the gb Pockit can still carry infants weighing up to 55 pounds. Depending on how quickly your young one grows, you can probably get a solid year’s use out of the stroller before your child maxes it out. It’s not designed to replace a full-size stroller than can accommodate a car seat, and you’ll probably find its compact wheels unsuitable for anything but concrete sidewalks, carpeting, or tiled-floors. But the compact Pockit still manages to squeeze in a height-adjustable five-point safety harness, a retractable sun shade, and a storage basket underneath that can hold an additional 11 pounds of toddler gear. 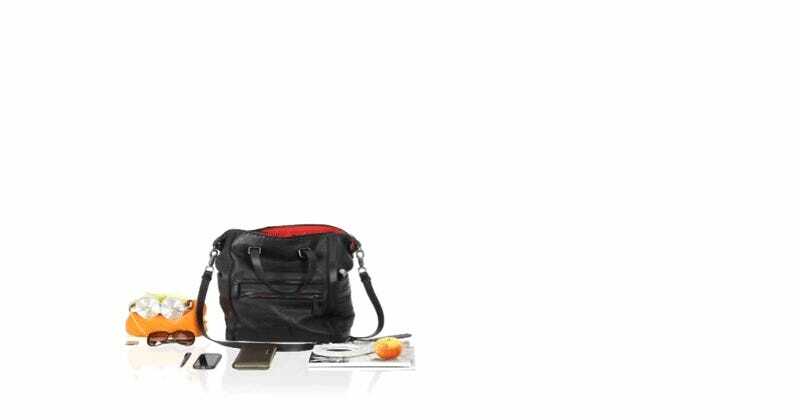 Its compact size is easily the best feature of the Pockit, allowing it to be brought onto planes as a carry-on item, or even tossed in a backpack as an emergency backup for when a toddler gets tired of walking. But unlike a lot of strollers that are harder to fold than a Transformers toy, collapsing the Pockit is remarkably easy, and just as simple to unfold as this video from GrowingYourBaby demonstrates. It also features two different folding options: the most compact approach first requires the back wheels to be folded in, but a slightly less compact and faster option lets you immediately collapse the whole thing right from its handlebars without that extra wheel folding step. Depending on the situation, like limited storage space or a screaming baby, you can opt for either one at any time. Now available in North America from Babies ‘R’ Us and other infant-oriented stores, the gb Pockit isn’t the cheapest compact stroller you can buy. At $250 you will be paying a bit of a premium for that Guinness World Record-holding folding mechanism, and its tiny wheels and limited capacity means it will most likely have to be a secondary stroller to a larger, and more expensive, ride for your little one. But if it means that occasionally you get to leave that larger stroller parked at home and travel a little lighter (relatively speaking) with your kids, this seems like a great option, especially if you have travel plans on the horizon.